A cake-mix easy banana cake with yummy homemade caramel frosting, garnished with toasted pecans. Preheat oven to 350°F (175°C). Grease and flour two 9-inch round cake pans. Set aside. In a large mixing bowl, beat the cake mix, brown sugar, cinnamon, mashed bananas, water, oil, eggs and banana extract (if using) with an electric mixer at medium speed. Bake for 30 minutes or until tested done when a wooden pick inserted in the center out clean. 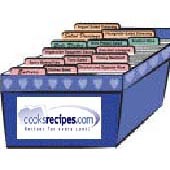 Cook cakes in pan on wire racks for 10 minutes. Remove cakes and cool completely on wire racks. Fill and frost cake with the Easy Caramel frosting and sprinkle top with the pecans. For Easy Caramel Frosting: Bring the butter and brown sugars in a saucepan over medium heat to a boil and cook for 2 minutes, stirring occasionally. Add the milk and bring mixture back to a boil. Remove pan from heat and stir in the powdered sugar and vanilla, mixing until frosting is smooth. Frost cooled cake immediately.